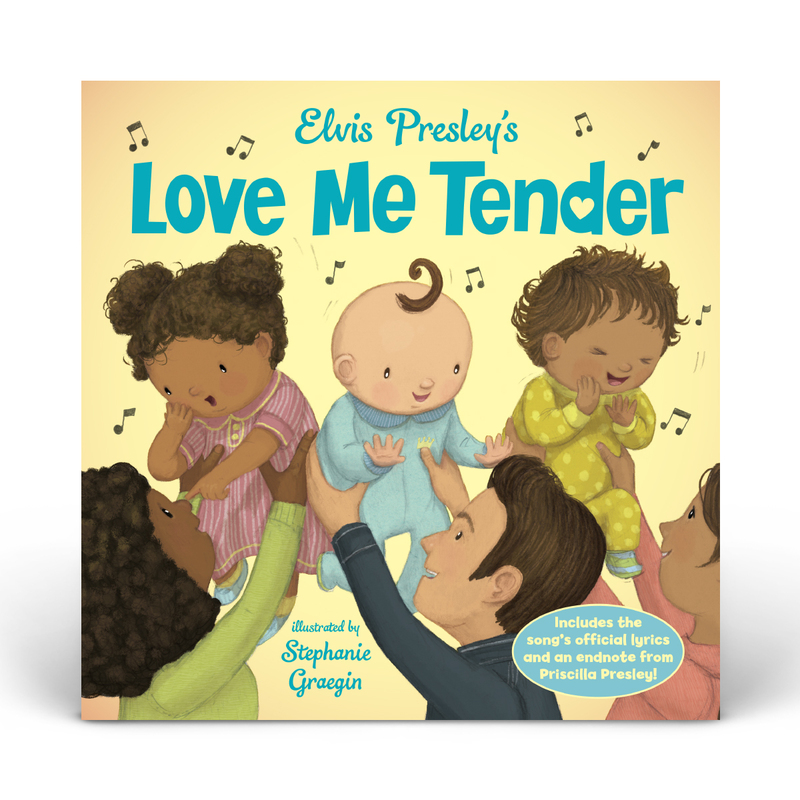 The king of rock-and-roll’s #1 hit song “Love Me Tender” is now an endearing picture book. 40 Pages | 9" x 9"
I bought Love Me Tender for a gift as my cousin is having a baby Boy in just a few months. I went through the whole book myself and really liked the way it was put together. Well Done! This is the cutest book! The details in the illustrations are awesome. You can’t help but sing it as you read it. Definitely a new favorite. I bought this book for my one-year-old granddaughter and she loves it. She isn't quite old enough to understand it yet, but she loves to look at it and turn the pages. I'm sure that when she is older, she will understand the meaning behind the book. It's a loving journey from childbirth until they enter pre-k. It's a little pricey for a children's book, but I definitely recommend it. Love me tender book is very special. My 0ne year old granddaughter loves when we read it to her and show her the picture. I enjoy seeing the pictures of Elvis here and there, Very cool. An absolutely beautiful book to be read to your children or grandchildren. Such a different interpretation of the song brought tears to my eyes.